The show went on for the X Factor Philippines week 2: Live Performance Night tonight. The theme was at least about life or buhay. It was timely since a lot of our fellow Filipinos are currently struggling in life right now after days of seemingly endless raining. We saw the sun shine earlier today at least. So the songs for this week’s performances have either the words life or buhay on the title and were arranged by the top musical arrangers of the country. Only two are left but mentor Charice (without the pink streaks now and just the plain blonde hair J) still mentioned Jerriane during KZ’s performance and she was there on the audience watching the show with her fiancé. Ms. Pilita apologized both to KZ and Charice for her comments last week. Although I mentioned last week that the song “The Show” by Lenka is actually perfect for KZ, I don’t think there’s a need for Ms. Pilita to apologize in anyway. That was very humble of her to do so. Imagine how in other X Factor franchises, mentors would bash each other on live TV and it’s not even reprimanded and neither do they apologize for it. It’s just part of the show and being in the show. Martin Nievera’s comments were unforgettable. He said KZ makes him cazy (like crazy) and that she can sing songs from K to Z. Before I forget the other remaining contender under the girl’s category, Allen sounded and looked great in a rocker outfit and looks which complimented her song for tonight. There was something missing in both performances of Gabriel and Jeric. While the former was trying to tone down the power of his voice, making it sound a little shaky; the latter on the other hand sounded lacking. Jeric still failed to hit notes like last week. He had throat issues last week. 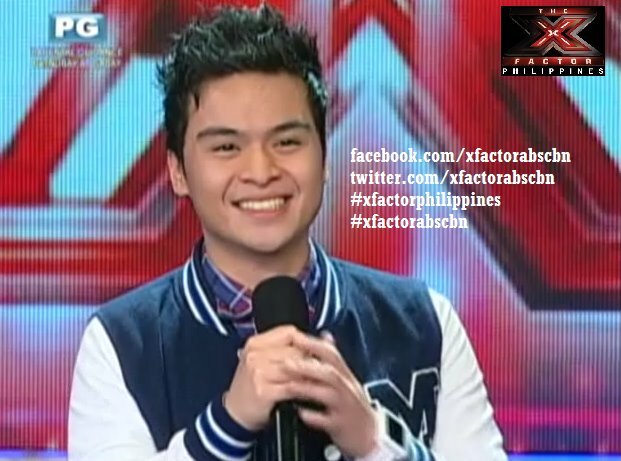 He had confidence problems this week so Charice was right in saying he needs to level up if he ever comes back. Take Off can be considered the pop performers not only in this category but throughout the complete list of other contestants. But is singing while dancing all they can ever do? People may get tired of the same tricks and the magical touch will soon be gone. Daddy’s Home hasn’t quite lost the magic on the other hand and they’re OK this week. But AKAJAM is definitely beyond OK. They were great. They sounded good dancing last week and even just plain singing this week. So who goes home? Please visit this blog and check this post again tomorrow for the update. You may also read related posts below. The first who was called is Joan, who was incidentally part of the bottom 2 and she is joined by 9 more contestants including those who had lapses during last night’s performance: Gabriel and Jeric. Strong performances such as Kedebon and Modesto are undoubtedly included as well as other good performers KZ, Daddy’s Home, and Allen. The last act announced was AKAJAM, who was the first act who was safe last week. That makes Mark and Take Off the bottom 2 performers for this week. Mark sang “There’s no Easy Way to Break Somebody’s Heart,” a James Ingram classic for his last chance performer. Take Off on the other hand made a rendition of “Fall for You” by Secondhand Serenade. At first, I thought it was a capella but just like the original version, music was introduced at a later part of the song. At least, they didn’t perform with the usual sing and dance act. During the judge’s voting, Martin sent home Take Off and I actually agree with his gut feel. Mark was obviously the better performer and deserves a slot for next week’s show. 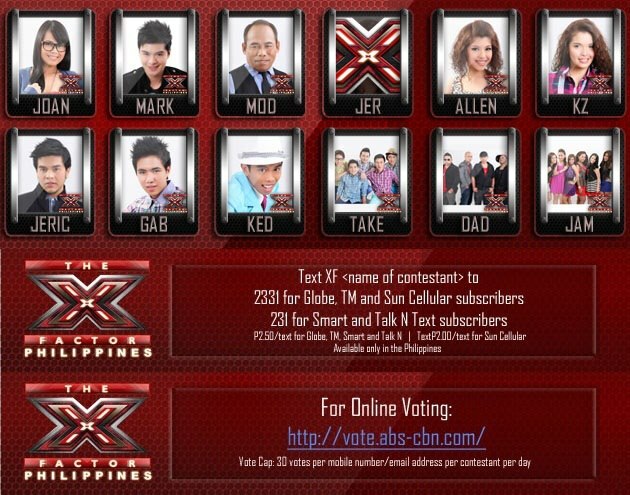 But Charice was indecisive and couldn’t vote. I believe she simply wanted to take the burden off her shoulders and voted against the obvious winner between the two acts. She sent home Mark; thereby, leading to a deadlock. Based on the nation’s votes, Mark received a score of 3.72% while Take Off garnered 3.90% from the total counted votes. So Mark was eliminated. Too bad for Mark, Charice’s irresolute decision sent him home for tonight. But if it was based on their performances during last night’s show and tonight’s as well including all previous performances all the way back to the auditions, it’s Mark who deserves to stay. What do you think?